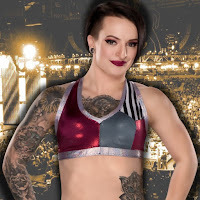 Ruby Riott was recently taken out of action after injuring her left knee during a match with Dana Brooke at last Friday's live event in Rapid City, South Dakota. She didn't appear on Raw this week, but Liv Morgan and Sarah Logan carried on without her. As noted, Riott underwent and MRI this past Monday. WWE revealed that Riott's MRI confirmed a MCL sprain in her left knee. Dave Meltzer noted on Wrestling Observer Radio that Riott will likely not require surgery. He added that she will not be out of action for long, although she will "be out for sure for a couple weeks." She is expected to be evaluated in a few weeks and we should know more at that point.